As a caring pet parent, you have many responsibilities. One of the most obvious and most important is ensuring that your furbaby is getting the food that they need to keep them happy and healthy. Nutrition is absolutely essential for the proper growth and ongoing wellbeing of any animal, and failing to provide the right balance of fats, proteins, carbohydrates, vitamins and minerals can cause developmental and health problems that can even lead to premature death. Knowing exactly what to feed your pet can be tricky. After all, the pet food market is enormous and there are dozens of brands each offering dozens of varieties of food: wet, dry, canned, pouched, targeted at specific breeds, ages or health conditions... If you aren’t sure what to feed your pet, our veterinarian will be able and happy to guide you towards the right type for your pet. However, regardless of what you choose to feed your pet, there is one thing that all responsible pet owners need to be certain of – that the food they provide is fresh. Many pet parents opt to feed their animal friends either a dry or canned diet, largely because these varieties of food tend to be the most budget-friendly. While most dry and canned foods have a long shelf-life, they won’t stay fresh forever, and once some are open, they can spoil quite quickly. While a large number of pets, especially dogs, aren’t too fussy about what they eat, feeding food that is no longer fresh can put your animal at serious risk. When air and moisture penetrate food produce, it can cause bacteria and mold, both of which can make your pet sick. The nutrients in the food can also lose some of their quality, meaning that your pet may not get the nutrition he needs to keep him in the best possible health. Finally, if your pet food is kept in stores outside, there is also a risk of penetration by insects or rodents, both of which carry bacteria. So, what is the best way to ensure that your pet’s food is as safe and fresh as possible? The answer largely depends on whether you choose wet or dry food. Most bags of dry food are built with the purpose of being able to store the food inside for as long as six to eight weeks. This means that they should keep out elements like light, heat and moisture. However, this doesn’t mean that you should test this ability! Ideally, bags of dry food should be stored somewhere that is dry, cool and dark and off of the floor, which will help protect it from the sharp teeth of mice or rats. Many owners like to decant their dry pet food into plastic or glass containers, but these receptacles don’t offer the same level of protection as the bag that the food comes in. Therefore, it is advisable to place the food into the new container while still in it’s original packaging. This will ensure that your animal’s food is as protected as it can be. Air is the most common element that causes dry food to spoil, so ensure that you open the bag very carefully so that it can be rolled down and secured using a clip between meals. This should prevent the food from being exposed to the open air for prolonged periods. Open canned food has a much shorter life span than dry varieties, and one open, a can should be refrigerated and consumed within a maximum of a week. If you forget to put the can in the refrigerator directly after use, you have up to four hours to use it all before it should be discarded. 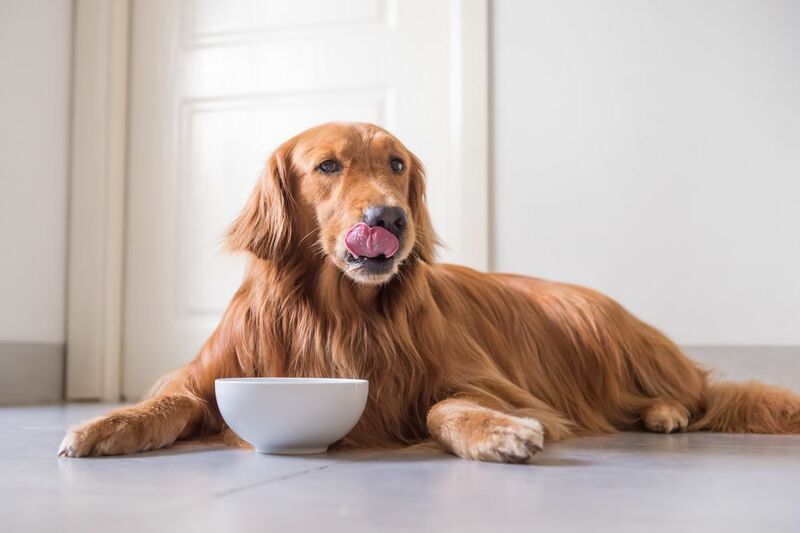 If your pet hasn’t emptied his bowl within 24 hours, clean away all food debris and give it a good rinse with fresh water before you refill it. Again, you should make sure that you keep your cans off of ground level, and in a cool and dry location. If you need further advice on how to keep your pet’s food fresh, contact and speak to our veterinary team today.